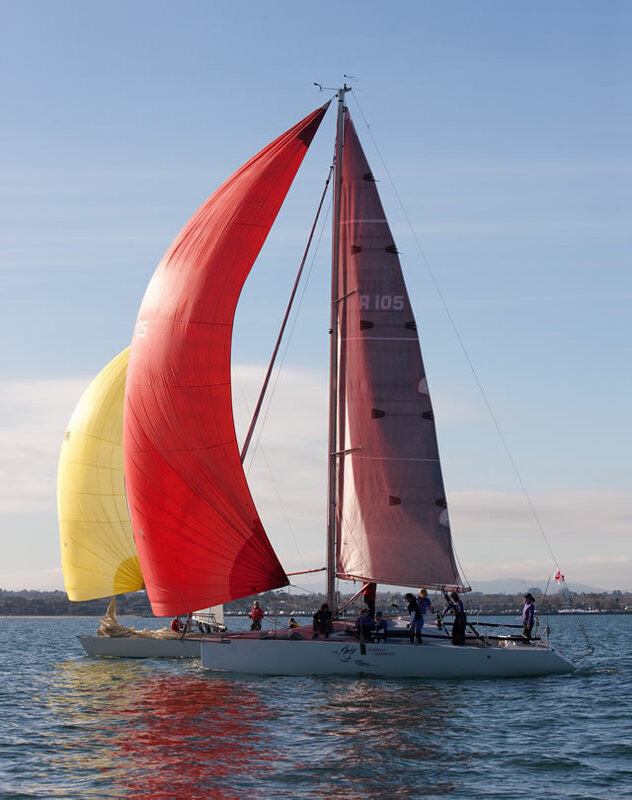 We are pleased to announce a new sailing scholarship which will include access to courses run by qualified instructors at the Royal Yacht Club of Victoria. I’ve been involved with Children of Phoenix since 2009, when I met board members at a Teddy Bears’ picnic fundraiser in the Ballarat region. (Did I mention I’m also passionate about teddy bears?) Immediately, the purpose and goals of the foundation resonated with two of the things on my list. I’m delighted to be able to bring my third passion into the picture now, and share the joy of sailing with others. I began sailing as a toddler with my family in our small dinghy on the beaches of Mornington Peninsula. As a teenager I competed at state and national level with my brother; sailing was definitely the catalyst that helped us find our way past the usual sibling bickering to a close and lasting relationship. Many of my best memories are from this time; watching dolphins swimming in our bow wake, often so close I could almost reach down and touch them. There’s something magical about being on the water, being dependent on the wind to get where you want to go. You may learn to master the art of sailing but a good sailor knows you can never master the elements; numerous outings in less than favourable weather have taught me that lesson. But they’ve also challenged me; stretched me beyond what I thought I was capable of and shown me that I can do more. Fast forward to adult life and it was these memories of sailing and the confidence it instilled in me that anchored me through some turbulent years. More recently, with my own children grown up I have been able to return to the sport I love and 2 years ago purchased a 10.5 metre Elliott; a fast, exciting racing yacht which is immense fun to sail but also very challenging. I compete in club and inter-club events, in particular all of the women’s keelboat sailing events at the top end of the bay. Last season I decided to rename the boat as a means of raising awareness for the foundation and hopefully, in the long term, some much-needed scholarship dollars. We have competed as ‘Children of Phoenix’, along with signage and team uniforms for the past 12 months. Although I’ve been sailing for over 40 years, boat ownership and helming is new for me. Many of my crew are new to sailing and none have been participating for more than a few seasons. 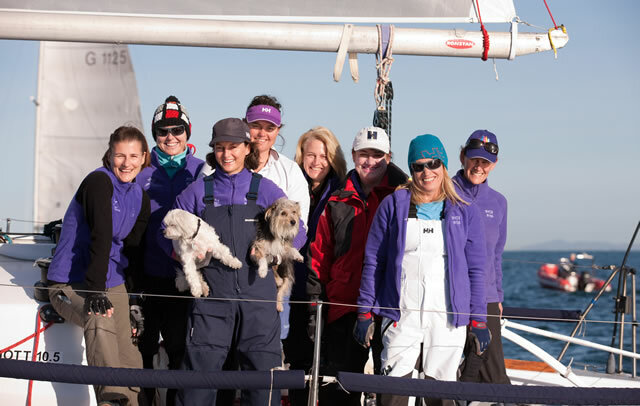 ‘Children of Phoenix’ needs a crew of 7 – 8 for racing, so for me the aim was to gather a group of women who were keen to learn, teach them some new skills, hopefully improve our performance but above all have fun and ensure that everyone enjoyed the experience. The results have been beyond my wildest imaginings; we recently won our Division in the Australian Women’s Keelboat Regatta earlier this year but most importantly, many of the crew who have been on board along the way have expressed how it has been a life-changing experience for them, with the confidence it has helped them develop. At the end of last season I approached my yacht club (Royal Yacht Club of Victoria, Williamstown) and was delighted that they were enthusiastic about sponsoring a sailing scholarship for Children of Phoenix Foundation. 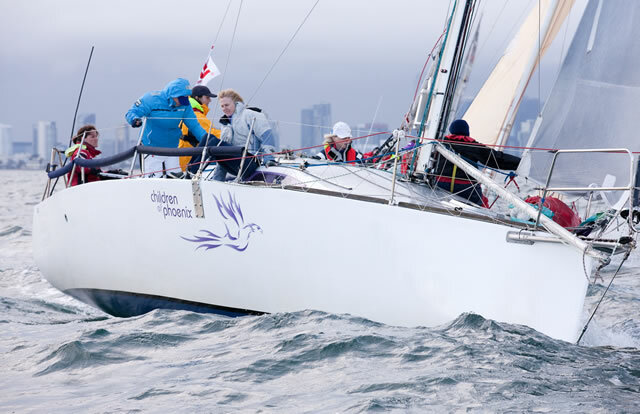 The scholarship will include access to courses run by qualified instructors at the club as well as opportunities to sail and participate in racing on board Children of Phoenix. All necessary equipment will be supplied and no prior experience is necessary. If you’d like to learn some new skills and meet some new friends please submit an application form… I look forward to welcoming you on the water!